Terri, Tammy, Eric, Daniel and Daniel Jr. I guess you can say today fishing was slow. 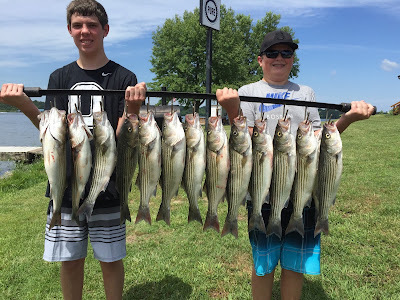 Tony and I looked for schools with little success so we simply got close to some fish and bait, put our lines out and picked off fish after fish. Being a Saturday on the lake it is hard for us to work a school due to all the other fishermen and boat traffic. We can set up in an area with no boats in sight and within 10 minutes we get surrounded by other fishermen. Our only alternative is to set up around fish and catch singles hoping to limit out. 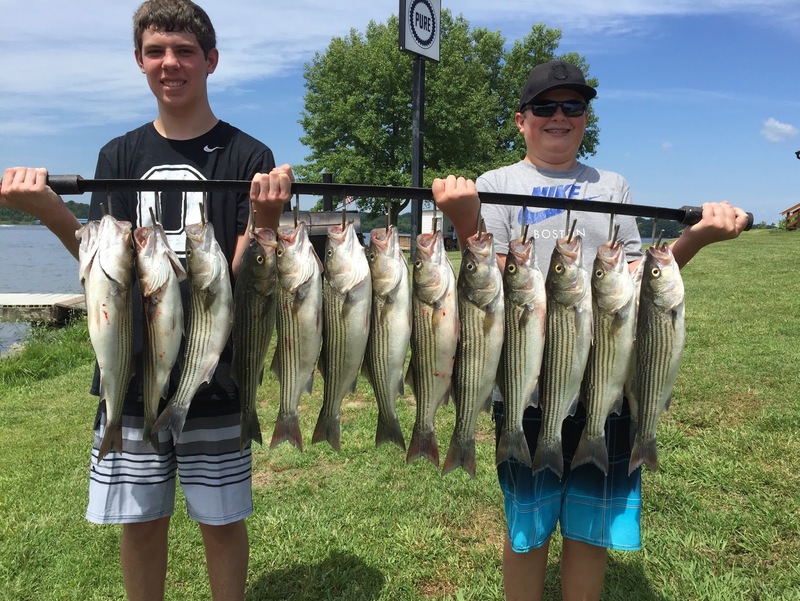 It all worked out today because everyone caught plenty of Stripers and took home plenty of good eating fish. 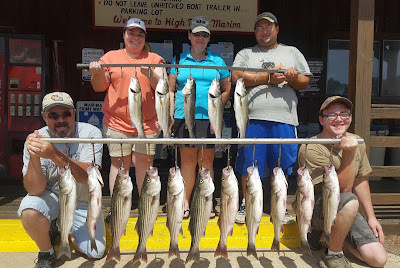 Hopefully all the other Striper fishermen on the lake had success as well. All is well that ends well. I am looking forward to getting back out during the week and do some peaceful fishing.